I’ve teamed up with fantastic PJ Taste to give you the chance to win a special ‘Sheffield’ lunch meal for two in their café situated on Glossop Road, Sheffield. Plus your ‘Dream Sheffield Lunch’ could also have the chance in featuring on PJ Taste’s menu. What would your Dream Lunch be? A soggy supermarket sandwich? meaty sausage roll or pasty? Maybe you’d go Eastern style instead with sushi and pork dumplings? or would you choose to stay more local to home? – artisan sourdough bread made from your local baker, Sheffield-picked tomatoes, something from Coppice House Farm, or Whirlowhall Farm? A tasty handmade pie washed down with a half pint of Sheffield brewed beer or juice perhaps? Just leave a reply at the bottom of this post explaining why, in less than 150 words what your ‘Dream Sheffield Lunch’ would be – be as creative and fun as you like. All we ask from you is to make sure you include in your Dream Lunch at least two ingredients grown or produced in Sheffield. What are these Sheffield Food delights I hear you ask? Well your Missie Cindz is endlessly tweeting and rambling on about Sheffield Food (so I’d gladly help). Most importantly, I have just eaten Sheffield Food for an entire week (4th – 10th July), a challenge I took really seriously to widen the market to the people who currently may not be aware of the great Sheffield produce available on their doorstep. My Menu Plan should help to inspire many of you (as it has done me!). The winner will be selected by PJ Taste, and the prize will be a lunch for two at PJ Taste on Glossop Road. So whether your dream lunch is meaty, healthy, sweet and sour, serious, plain or cheesy, let us know what your Dream Sheffield Lunch would be. We need to get the words “supermarket sarnies” out of our heads. All entries will be published as comments on this post. The decision of PJ Taste is final. The winner must be available to enjoy their Dream Lunch at PJ Taste by the end of September 2011. 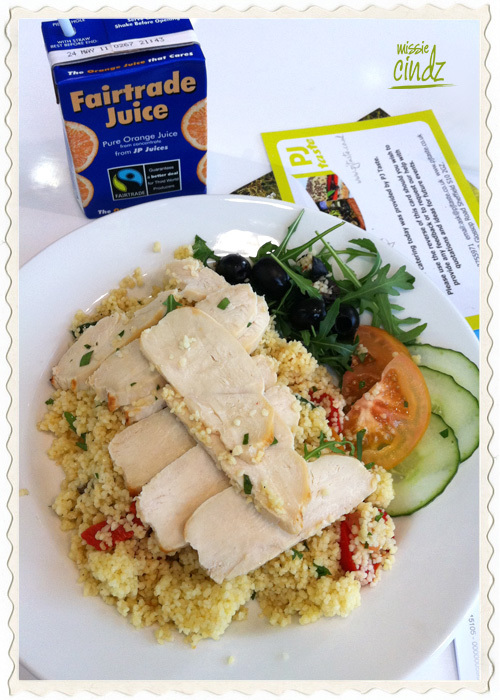 Winning Sheffield lunch meal to feature on PJ Taste’s menu is subject to the judging panel. The closing date for entries is 11am Monday 9th August 2011. The winner will be notified via email by Friday 29th August 2011.